Three Iranian Christians were due to appear before Iran’s Islamic Revolutionary Court Sunday, February 4, to appeal against lengthy prison terms on charges of "conducting evangelism" and carrying out "illegal church activities." TEHRAN, IRAN (BosNewsLife)-- An Iranian judge who sentenced a well-known pastor and three devoted Christians to long prison terms is practically demanding that they no longer recognize Jesus as Lord, ahead of an upcoming appeal hearing, a well-informed church official told BosNewsLife Sunday, September 3. 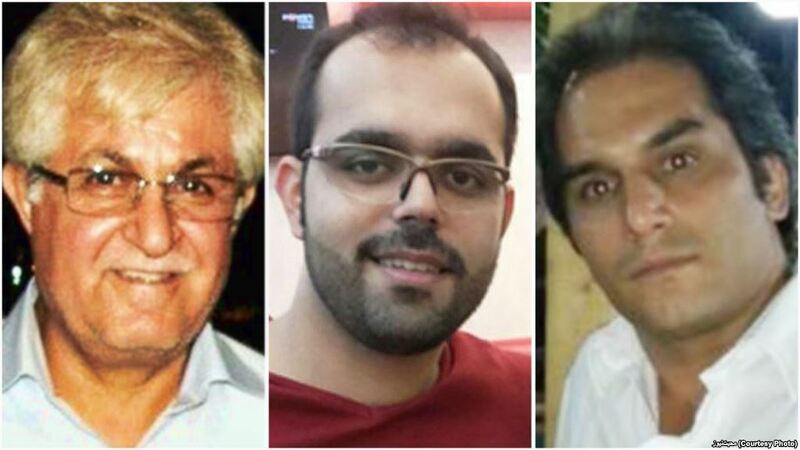 TEHRAN, IRAN (BosNewsLife)-- An Iranian judge known for his harsh sentences will supervise the appeal hearing launched by a well-known pastor and three other Iranian Christians against their long prison sentences for what authorities consider dangerous Christian activities, BosNewsLife learned Friday, September 1. TEHRAN, IRAN (BosNewsLife)-- Christians in Iran have appealed for prayers after missionaries, pastors and other devoted Christians received long prison terms and faced lashes as part of a government effort to halt the spread of Christianity in the Islamic nation, trial observers and activists told BosNewsLife. TEHRAN, IRAN (BosNewsLife)-- Iranian Christians urged prayers for Pastor Victor Bet Tamraz and fellow believer Amin Nader Afshar who were said to have been summoned to a court hearing on Sunday, May 21, more than two years after they were detained during a Christian celebration at the pastor's home. BAGHDAD, IRAQ (BosNewsLife)-- Iranian Christians are concerned about Maryam Naghash Zargaran after she was reportedly denied urgent medical treatment and fellow believer Ebrahim Firouzi who was told by an Iranian court that his five-year sentence has been upheld. The two Christians both converted from Islam, a move that can be punishable by prison and even death under Iranian law. TEHRAN, IRAN (BosNewsLife)-- Iranian Christians have urged prayers for Pastor Yousef Nadarkhani, who was acquitted of apostasy in 2012 after being sentenced to death by hanging, and three other believers after they were forced to stand trial on charges of “action against national security", activists told BosNewsLife.